Since the birth of the New Earth on December 21-22, 2012, the I AM Presence of every man, woman, and child on this Planet has been raising the frequency of vibration of our Earthly Bodies the maximum we can withstand in every 24-hour period. Day-by-day this process of Divine Alchemy has been slowly changing the cellular structures of our physical, etheric, mental, and emotional bodies from carbon based planetary cells into 5th-Dimensional crystalline based Solar Light cells. Many people are consciously aware that there is something unusual going on within their bodies, but the masses of Humanity are oblivious to what is actually taking place at this time. This lack of awareness is causing much stress and anxiety as every day our bodies are pushed to the limit in this transformational process. Fortunately, the Beings of Light in the Realms of Illumined Truth are aware of the mental and emotional challenges this process is causing, and they have joined with the I AM Presence of every person to cocreate a Divine Plan that will ease the stress and bring comfort to the process without slowing down our physical transformation. It is important for us to understand that this great acceleration would not be allowed by our Father-Mother God or the Company of Heaven if it was going to cause more harm than good. 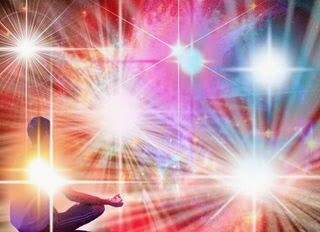 The only reason it is being allowed with this intensity is because of the assistance we are receiving from the heartfelt invocations of Awakening Humanity and the myriad Celestial and Global opportunities being presented to us at this time. Please open your heart and mind and focus on the following information with the full power of your attention. Your I AM Presence has brought this Celestial Sharing into your sphere of influence because you have a role to play in holding the sacred space for the next quantum leap in Humanity’s Ascension Process. As we moved into the full embrace of the Sun Cycle of Aquarius on January 18, 2016, we officially completed our transition from the Age of Pisces into the 5th-Dimensional Crystalline Solar Age of Aquarius. During that Cosmic Moment, the Earth was bathed with the radiance of a rare Celestial alignment involving Mercury, Venus, Jupiter, Saturn, and Mars. This alignment created a protective forcefield of Light around the Earth that paved the way for several events that helped to anchor within the Core of Purity in every single atomic and subatomic particle and wave of Life on Earth higher frequencies of the 5th-Dimensional Crystalline Seventh Solar Aspect of Deity, which is the VIOLET FLAME OF GOD’S INFINITE PERFECTION. This is a higher frequency of Light than Humanity and the Earth have ever been able to withstand. This exquisite and unfathomable Light will be the predominant influence on the Earth for the next 2,000-plus years as we sojourn through the 5th-Dimensional Crystalline Solar Age of Aquarius. During the initial impulse of this Aquarian Age, the Sons and Daughters of God embodied on Earth will learn how to effectively use this Violet Flame of God’s Infinite Perfection to co-create the New Heaven and the New Earth. 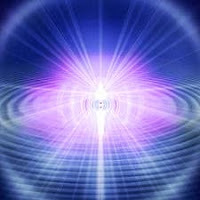 The anchoring of the monumental NEW frequencies of this Violet Flame from the very Heart of our Father-Mother God was made possible through the unified efforts of Heaven and Earth. After entering the Sun Cycle of Aquarius, the I AM Presence of every person on Earth gathered the energy from the thoughts, feelings, words, actions, memories, and beliefs each person expressed that in any way added to the Light of the World. At the behest of each person’s I AM Presence, the entire Company of Heaven purified this energy and utilized it to assist with the anchoring of the Violet Flame of God’s Infinite Perfection. In addition to Humanity’s individual efforts, there were many events that drew the collective attention of people all over the World. Whenever there are hundreds of thousands of people focused on a particular event a Cup of Consciousness is formed. That Cup creates an open portal through which the Company of Heaven can exponentially expand the Light of God flowing to Earth. All that is necessary in order for Humanity’s collective attention, on even the most mundane or horrific event, to become a Chalice of Light is for Lightworkers to invoke the Violet Flame to purify the energy the people focused on that event are releasing. After purifying the energy, we can invoke every person’s I AM Presence and the Company of Heaven to Consecrate that purified energy with the Divine Intent of accomplishing the Highest Good for ALL concerned. That purified energy will then form a fluid field of unmanifest Divine Potential upon which Humanity’s I AM Presence and the Company of Heaven can encode NEW patterns of perfection to accomplish whatever facet of the Divine Plan our Father-Mother God have revealed to us. That is exactly what happened after we officially entered the 4th year of the New Earth in 2016. One of the events that was used in this fashion was the Super Bowl Football Game which took place on February 7th in the USA. An estimated 100 million people participated during the actual Super Bowl game, but there were many events that took place during the preceding week which greatly enhanced the building momentum of Humanity’s collective attention. Since the birth of 2016, we have experienced many other attention grabbing events, both good and bad, that have drawn Humanity’s focus of attention around the World. For instance, the stock market crash, terrorist attacks, the ongoing Presidential elections in the USA, inclement weather conditions, and all manner of chaos between governments and wayward souls bent on abusing their power. On the positive side, we experienced the incredible influx of Light we always receive during the birth of a New Year, a powerful Full Moon, the Chinese New Year, several life-enhancing Global Meditations, Valentine’s Day, and the annual event that takes place on Valentine’s Day called World Sound Healing Day. During the past 14 years, on Valentine’s Day while millions of people are focused on Love, Lightworkers have projected the Divine Intent of Compassion and Love into the body of Mother Earth and ALL Life evolving upon her. This is accomplished on the Holy Breath as thousands of people around the Globe, at 12 noon local time, sound the Sacred Heart Keynote of “AH” for five minutes. This is done by each person with the Heartfelt intention of raising Global Consciousness. In my hometown of Tucson, Arizona, there is another very powerful event that takes place every year during the Sun Cycle of Aquarius. This event is the Annual Tucson Gem and Mineral Show which is known worldwide as the largest gem and mineral show on the Planet. This is the 62nd year we have hosted this event, which consists of approximately 4,000 venders and hundreds of thousands of people who travel to Tucson from every corner of the Earth laden with their precious gifts from the Elemental Kingdom. Since the inception of the gem and mineral show this gathering has drawn more than 100 million people to Tucson, Arizona. The vendors bring with them the most exquisite reflections of Mother Earth’s Crystal Grid System that nature has to offer. These precious crystals, gems, stones, minerals, and metals are actually Crystallized Sacred Fire. They pulsate with the highest frequencies of the various Twelve Solar Aspects of Deity that Humanity and Mother Earth are capable of receiving. These Elemental Beings form Mother Earth’s Crystal Grid System function as acupuncture points and meridians in Earth’s physical body. The Chalice of Light and the permanently open portal created by this annual gathering of Humanity and Elemental Beings are awesome to behold. Every year during this event the floodgates of Heaven open and the most intensified frequencies of God’s Divine Light that Humanity and the Earth are capable of withstanding flow into the Elemental Beings that are brought to Tucson. This Light is then projected into the Divine Momentum in the Heart of Mother Earth and breathed out through her Crystal Grid System in a tremendous starburst of Light that is secured into the Core of Purity in every atomic and subatomic particle and wave of Life on Earth. This year as the Earth officially entered the 5th-Dimensional Crystalline Solar Age of Aquarius the frequency of Light that flowed through the Chalice of Light in Tucson and into the Earth’s Crystal Grid System was unprecedented. This Light not only greatly empowered the Divine Qualities that reverberate within the Twelve Solar Aspects of Deity that pulsate as Crystallized Sacred Fire in the Elemental Beings brought to the gem and mineral show, it secured within the Core of Purity of each one the NEW frequencies of the Violet Flame of God’s Infinite Perfection. This Violet Flame now gently pulsates as a resplendent aura of God’s Infinite Perfection around each and every crystal, gem, mineral, stone, and precious metal within Mother Earth’s Crystal Grid System. This has moved the energy, vibration, and consciousness of Mother Earth and ALL her Life forward in the Light a quantum leap, thus paving the way for patterns of God’s Infinite Perfection that we have not even begun to fathom. The Twelve Solar Aspects of Deity and the Divine Qualities associated with each of them have been greatly empowered by the NEW frequencies of the Violet Flame of God’s Infinite Perfection. Now that we have completed our transition into the 5th-Dimensional Crystalline Solar Age of Aquarius this Divine Light is perpetually pulsating through Mother Earth’s Crystal Grid System and through each of Humanity’s Twelve 5th-Dimensional Crystalline Solar Chakras. This information is being revealed to us by our Father-Mother God so that we will be consciously aware of this Divine Light during this auspicious time. This is the Light we will all be using as we co-create the patterns of perfection for the New Earth through our thoughts, feelings, words, actions, beliefs, and memories. As we Ascend into higher and higher frequencies of the 5th-Dimensional Crystalline New Earth, the frequencies of the Twelve Solar Aspects of Deity and Earth’s precious Elemental Substances are also Ascending into higher and higher frequencies of Crystallized Sacred Fire which is greatly intensifying the Divine Alchemy taking place within our Earthly Bodies and the Bodies of Mother Earth. The NEW frequencies of the Violet Flame of God’s Infinite Perfection which are now radiating as a resplendent aura around each of the Aspects of Deity are lifting every Divine Quality into previously unknown expressions of God’s Infinite Perfection. 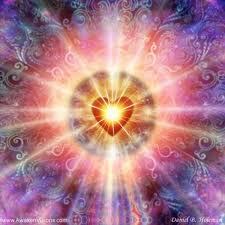 We are being asked to remember this profound Truth as we invoke this Divine Light each day in our meditations. 1. The 1st Solar Aspect of Deity is Sapphire Blue with a resplendent aura of the Violet Flame of God’s Infinite Perfection. 2. The 2nd Solar Aspect of Deity is Sunshine Yellow with a resplendent aura of the Violet Flame of God’s Infinite Perfection. 3. The 3rd Solar Aspect of Deity is Crystalline Pink with a resplendent aura of the Violet Flame of God’s Infinite Perfection. 4. 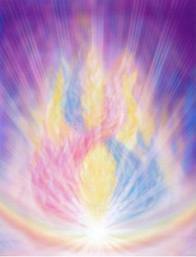 The 4th Solar Aspect of Deity is White with a resplendent aura of the Violet Flame of God’s Infinite Perfection. 5. The 5th Solar Aspect of Deity is Emerald Green with a resplendent aura of the Violet Flame of God’s Infinite Perfection. 6. The 6th Solar Aspect of Deity is Ruby-Gold with a resplendent aura of the Violet Flame of God’s Infinite Perfection. 7. The 7th Solar Aspect of Deity is Violet with a resplendent aura of the Violet Flame of God’s Infinite Perfection. 8. The 8th Solar Aspect of Deity is Aquamarine with a resplendent aura of the Violet Flame of God’s Infinite Perfection. 9. The 9th Solar Aspect of Deity is Magenta with a resplendent aura of the Violet Flame of God’s Infinite Perfection. 10. The 10th Solar Aspect of Deity is Gold with a resplendent aura of the Violet Flame of God’s Infinite Perfection. 11. The 11th Solar Aspect of Deity is Peach with a resplendent aura of the Violet Flame of God’s Infinite Perfection. 12. The 12th Solar Aspect of Deity is Opal with a resplendent aura of the Violet Flame of God’s Infinite Perfection. 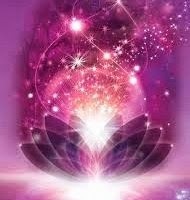 The reason the newly anchored Violet Flame of God’s Infinite Perfection is so powerful is that it pulsates with the perfect balance of our Father God’s 5th-Dimensional Crystalline Solar frequency of the Masculine Blue Flame of Divine Power and our Mother God’s 5th-Dimensional Crystalline Solar frequency of the Feminine Pink Flame of Divine Love. When the Masculine and Feminine Polarities of our Father-Mother God’s Crystalline Light merge into a perfectly balanced Violet Flame, everything this Sacred Fire embraces is lifted into a higher expression of its Divine Potential and Infinite Perfection than it was previously able to express. One of the first things Saint Germain has done in order to assist Awakening Humanity to become aware of the Violet Flame of God’s Infinite Perfection is give us a multidimensional image of this Sacred Fire. This beautiful image was created in the Inner Realms of Light and then projected into the physical plane of Earth for our benefit with the cooperation of one of Saint Germain’s embodied Daughters. She has copyrighted this image so that it will continue to reverberate with its original Divine Intent and not be changed in any way, but this precious soul has given the New Age Study of Humanity’s Purpose permission to distribute this scintillating image of the Violet Flame of God’s Infinite Perfection. This image will remind us to utilize this powerful gift from On High on a daily basis. This powerful image is designed to inspire each of us to focus on the Violet Flame in our daily invocations and meditations until we can perceive this Sacred Fire pulsating around us and effectively utilize it without any need of a physical reminder. I will share with you that in my personal experience, I have witnessed dramatic shifts of energy, vibration, and consciousness in my home and office ever since I placed this beautiful Image of the Violet Flame in those locations. 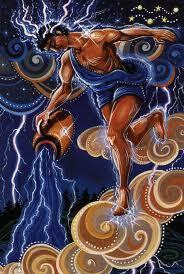 I have also witnessed very positive shifts of energy in other places where I have seen this image displayed. For this reason I will state with great confidence that this gift from Saint Germain is far more helpful in our Ascension process and in our ability to co-create the patterns of God’s Infinite Perfection for the New Earth than we can comprehend with our finite minds. We at the New Age Study of Humanity’s Purpose have done everything we can to make this Image of the Violet Flame of God’s Infinite Perfection as accessible as possible for anyone who has the Heart Call to place this powerful multidimensional poster or canvas print in their home, office, place of meditation, place of relaxation, or anywhere else in their environment. In order to see Saint Germain’s beautiful Image of the Violet Flame of God’s Infinite Perfection just click on either of the links below. One link will take you to the space on our website where you can see and order the POSTER if you are interested. The other link will take you to the space where you can see and order the high quality CANVAS PRINT of the Violet Flame of God’s Infinite Perfection. Saint Germain has assured us that he has encoded this Image of the Violet Flame of God’s Infinite Perfection to be truly multidimensional. He said that the atomic and subatomic particles and waves within this Image will be recalibrated into higher frequencies of this Violet Flame every time Humanity and the Earth are raised in energy, vibration, and consciousness into higher frequencies of 5th-Dimensional Crystalline Solar Light on the New Earth. Precious Hearts, regardless of whether or not you have the Heart Call to have an Image of the Violet Flame of God’s Infinite Perfection in your home or sacred space, know that this New frequency of the Violet Flame is a Life-transforming Gift from our Father-Mother God and the more we focus on it the sooner we will transcend the negative habits and miscreations of the old Earth. God Bless YOU!